Hi there, my name is Celeste Campos, I am a licensed Marriage and Family therapist. I have worked with individuals, couples, and families across the lifespan . Throughout my childhood and early adulthood, I moved several times between Mexico and the United States. With each move I encountered a different challenge. As a result I developed an interest in how individuals adjust and develop resiliency vs resisting change (which I encountered several times). With this said, I enjoy empowering individuals toward transforming their life challenges into personal growth. I strive to create a safe environment, free of judgment, that encourages deep exploration and acceptance. My goal is to meet you where you are at and assist you in designing your own goals. My approach is eclectic in nature, however my foundation is heavily based on Cognitive Behavioral therapy (CBT), Brief Solution Focused therapy, Structural therapy, and Bowenian therapy. I have an 8 year old son and a 4 year old daughter. They both keep my life busy. My son plays soccer all year long from outdoor league to in door league, in addition to out of town tournaments. I always looked forward to being a soccer mom, but never fully understood the demands attached to this role, until now. My daughter likes gymnastics and dancing. My husband is a man that does not fear change and likes to start new things in life, which helps me to be brave and try out new things as well. Celeste is an awesome listener and a kind, compassionate person. I never feel judged or self conscious , and she always has some good advice that I can immediately apply. It doesn’t feel like I am talking to a stranger, but rather that I am speaking with a friend. I really appreciate the help that Celeste has given me, it’s awesome to have someone who listens and understands. I couldn’t have coped the last few months without her. Celeste is a wonderful Christian. She does not push her faith and shares it in a helpful and kind way. I love the scriptures and being able to have God help me through my divorce and great loses. Celeste went out of her way to stay in touch and make time to talk, even with international time zones! She helped me through a very scary time. Celeste is very warm and welcoming and has been very active in supporting me, scheduling live chats and responding to me in a timely manner. She is wonderful at following up. This is a service I would recommend providing you get a wonderful experience such as I have had with Celeste. Celeste listens to me and sends me worksheets that enable me to reflect on moving forward and how to move forward. I feel like I am making progress in the direction I want to take with her support. Celeste has provided me with great support and encouragement through a difficult time. I feel more confident now and on my way towards greater emotional maturity. Her questions have guided my self-reflection and helped me refocus on what matters, while also giving me some tools to deal with family issues. 10/10 and such timely and constructive professional advice always! Celeste Campos has helped put a lot of my problems in to perspective. I used to think I was very thorough when it came to my reactions to problems that I came across but I wasn’t as unbiased as I thought I was. Celeste is supportive and responsive. I have only been using Better Help for three months and I have already learned so much. My time and experience with Celeste has been amazing. She has a great way of understanding and listening and has helped me a lot in many ways. Celeste is very supportive and empathetic and continually reassured me. She is also very resourceful and provides all kinds of worksheets and suggested reading for a continuous personal development. She really helped me get important insights about myself and what I should work on to cope with anxiety and feel more calm. I can’t thank her enough! 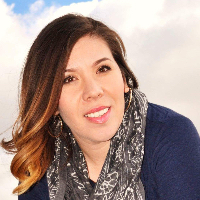 Celeste Campos is an educated women who has had some tough obstacles in her life yet pulled though and somehow kept her big ol' heart and desire to help others. Been through marriage counseling live in person, online counseling, etc. Mrs. Campos is something very special and has been absolutely a blessing receiving bed guidance. It’s just been my honor getting to know her. Two thumbs up, no doubt! Celeste is caring, compassionate and really invested in the people she is helping. She’s incredibly responsive and definitely knows what she is doing. I feel so blessed to have crossed paths with Celeste and know she helped me through tough times. Very happy with Celeste. I feel confident that everything will be o.k. and she's a huge part of that. Couldn't have been paired better... Thank you! Would you like to write a review for Celeste Campos? We'd appreciate if you can spend a couple of minutes to write a short review for Celeste Campos (LMFT). This review would be shared with Celeste Campos. It may also be posted in our website or in Celeste Campos's profile but it would be anonymous and your identity would be kept completely confidential.